My personal opinion is that Acupuncture can help with anything. It is helping your body work better together. Bringing your body, mind and spirit more balance and harmony allowing your body to heal itself. I've heard from clients that often they've 'tried everything else, this is their last resort' and often find much success. Acupuncture is a complementary medicine and works well with other therapies and doctors you are working with. Some people are able to lower prescription medication usage in conjunction with their doctor. There's no reason to wait till the last resort! The first treatment will include the Traditional Diagnosis. Please allow 2 hours for the appointment. Come prepared to discuss an in-depth medical history, medications, personal history, diet, and symptoms/ reasons for which you are seeking treatment. We will also do some basic diagnostics, and time permitting your first treatment. 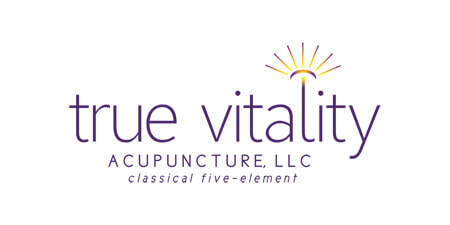 Classical Five-Element Acupuncture (CF-EA) is medicine for the individual. A treatment will be planned for what you are needing that day. I work with only one client at a time. You have my focused attention during treatment time. We do have some occasional protocols where we insert multiple needles and need to leave them in. Generally, we use one needle at a time, and do not leave needles in. Follow up treatments tend to last about one hour to one hour and fifteen minutes. I take the time to check in with you and see how you have been since our last treatment. Your treatment is then planned for what you are currently needing. You may notice changes immediately after treatment or it may take a little more time to notice how your body is working with the energy. This will be different for everyone. During your first treatment an individualized treatment plan will be developed for you. As your energy starts to hold between treatments we will then start to space them out. A monthly 'tune up' visit works really well for clients to maintain their best health and continued lasting results. Treatments have a cumulative effect and build upon each other. Since symptoms and conditions took time to develop, I ask that clients be willing to give a little time to notice changes. Some people will feel changes immediately, others may take several treatments. CF-EA definitely addresses current conditions and symptoms you are experiencing. It was developed, as a medicine to prevent 'dis-ease' and symptoms before they happen. Helping your body to heal itself! I use only the highest quality solid, stainless steel, sterilized, disposable needles in my practice. (They are about the thickness of a cat whisker.) I am also certified in Clean Needle Technique. This is not as simple of a question as it may appear. Often times clients don't feel the needle being inserted. They do generally feel 'something' when the needle connects with their energy. Each point can feel differently to each person depending on the point itself as well as the location on the body. I've heard many descriptions including: achy, sharp, dull, electrical, mild, slight, buzzy, like a bee sting, or subtle. The needle is in for only a second and is then removed, so the sensation is generally very short.